Before we go into the essential stretch marks info everybody needs to know, I guess it is normal to clarify what stretch marks are. I know most of our readers are smart enough to know what stretch marks are. However, some people out there might be unaware what this is all about. Have you ever seen some unsightly stripesor strips on a person’s skin before? These stripes or strips most often seem to be a natural part of the skin. Not something that was caused by an injury or external trauma to the skin? It is likely you are looking at stretch marks. Stretch marks are very common in the tummy, thighs, upper arms, breasts, bum, lower back and hips. The first essential stretch marks info you need to know is that the problem is more prevalent in women than in men. However, the most susceptible group of people to develop stretch marks are pregnant women and fat people. The reasons would become apparent later as we discuss the causes of stretch marks. 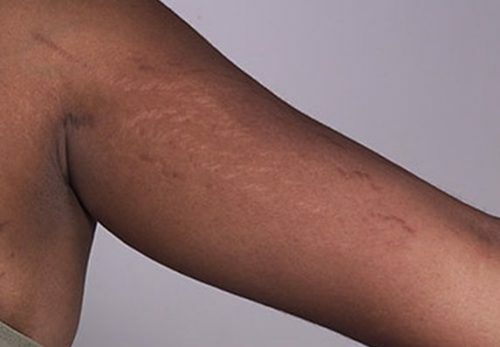 Stretch marks on the skin are primarily as a result of the skin stretching to a point where it loses that important elasticity natural to all skins. Apart from the stretching, an increase in the amount of cortisone in the body is implicated. Cortisone is produced naturally in the body. But too much of it can cause the skin to loose its elasticity leading to the production of stretch marks. With that in mind, it is now easy to understand why pregnant women are susceptible to stretch marks. During pregnancy, the skin has to expand in different ways and directions to accommodate the new life. It is the sustained stretching that makes stretch marks to appear after child birth. Also, another essential stretch mark info is the fact that they appear when the body rapidly gains weight; as in the case with pregnant people and those susceptible to obesity. On the flip side of weight thing, loosing weight rapidly can also cause stretch marks. This is because the skin has lost the ability to revert back to its former state. Basically, reduced elasticity of the skin would make the stretch marks appear during rapid loss of weight. Some creams, lotions and pills that contain corticosteroids would cause stretch marks to form because they also reduce the skin’s elasticity. The treatment of stretch marks is where there are lots of misconceptions. This is where one needs these essential stretch marks info most. By their nature, stretch marks are a sort of permanent damage to the middle layer of the skin. The skin consists of three layers. The upper layer is the layer exposed to the elements; the middle layer and the bottom or subcutaneous layer. It is when the middle layer is stretched beyond its elastic limit that stretch marks are formed. Like earlier stated, this injury to the skin is almost permanent and therefore almost impossible to treat. Most so-called treatment are either bogus or are unverifiable with no evidence to show they work over a wide group of people. 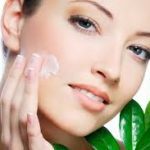 Treatments therefore are restricted to cosmetic changes to the skin. This involves the use of creams that would mask the presence of the stretch marks. Of course, these wash off after a good bath thereby exposing the stretch marks again. Creams or lotions that contain retinoic acid can be used to improve the appearance of a skin with stretch marks. However it should be used with caution by pregnant women or women who are breast feeding as it could be harmful to the baby. 1.Pulsed dye laser therapy – this laser therapy is best used on new stretch marks. The treatment stimulates the growth of elastin and collagen in the skin. 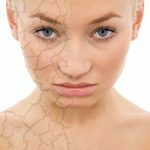 2.Fractional photothermolysis – it is a better form of pulse dye laser therapy as it targets specific areas of the skin causing lesser damage to surrounding areas of the skin. 3.Microdermabrasion – this can be used effectively in older stretch marks. It involves polishing the affected skin with tiny crystals to expose the unaffected skin below. 4.Excimer laser treatment – this works by stimulating the production of melanin. The result is that the stretch marks would begin to look like the surrounding skin; effectively masking them. Unfortunately, all other methods of treating stretch marks are mostly lies just to get people to part with money. Some false methods of treating stretch marks include the use of olive oil and cocoa butter. These creams are good for the skin though, as they contain vitamin E. But they cannot medically treat stretch marks. Another bad news which should serve as an essential stretch marks info is that there is no way to prevent stretch marks. Again, this bears repeating, stretch marks cannot be prevented completely. The best we can do is to take care of our our bodies by eating well, drinking plenty of water, exercising regularly and doing all we can to prevent weight gain. These won’t prevent it though, but at least you won’t have the extreme type of stretch marks that causes anxiety and distress in sufferers. If you are suffering from stretch marks, feel free to share any other essential stretch marks info you think we ought to know. For instance, tell us how you are dealing or coping with the problem. Please, share this with your friends on Facebook or Twitter. You would be doing many a lot of good with it.